Your bridal manicure also plays a role in your overall look and appeal. 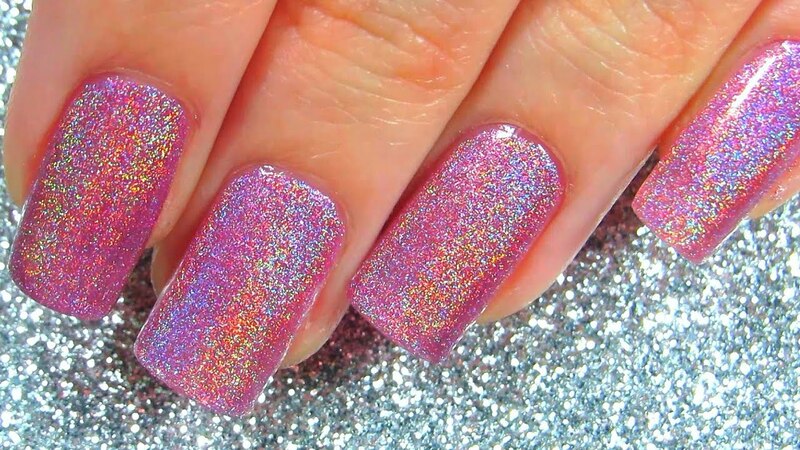 If you want your nails to dazzle and shine, you should apply holographic nail polish. The best variety, however, is one that does not use holo powders to achieve a holographic effect. To get the best effect, however, nail care should be done long before you say “I do”. As we know, the brides need full care and attention. To completely get the advantages of bridal manicure, it is important to take care of your nail’s health and overall beauty one month before your wedding. The weekly bridal manicure will not only make you feel good, but also reflect your hand’s refreshing beauty for your wedding day. To look your best, treat your hands to a stylish bridal manicure using holographic nail lacquer. But first, always treat your bare nails right. • If you want to make your bridal manicure work efficiently, clean your hands by massaging them with a hand cream at night. Repeat this hand and nails beauty tip for at least a month before your wedding. • Make sure that your nails will be perfect in shape on your wedding day to see and enjoy the difference after the bridal manicure is done. • Start taking care of your nail’s health and beauty months before wedding mostly to avoid the possibility of nail chipping or breaking. • For the hands and nails beauty, the best nail care tip is the use of cuticle oil regularly to keep the dry skin off from your nails. • To enjoy the best looking hands after your bridal manicure, it is very important to trim your nails to the same length with preferred shape and file them carefully. • Use only authentic holographic gel polish and remove the remains of any holographic nail polish with gentle ways like doing the foil method or using a gentle acetone solution. 1. To start your bridal manicure, the first step is to remove old polish from your nails. 2. Leave your hands in some soapy lukewarm water for 5-10 minutes to soften cuticles. 3. To remove the dead skin from your hands and nails, apply a small amount of scrub and massage gently. 4. For the nail’s beauty, put a pea-sized amount of cuticle cream on the cuticles and rub it gently. The product serves as a softener so you can easily push back the cuticles with a pusher tool or a small wooden stick that is available in drugstores. However, be sure not to cut your cuticles. 5. For extra moisture on your hands and nails, massage your hands with lotion and wipe nails with a damp cloth to remove extra oils. 6. The next step for your bridal manicure is to file the nails to your desired shape. 7. Protect your nail’s beauty by applying the base coat, which will also protect you from future nail chipping. 8. After the base coat, you may now proceed to apply your preferred color of holographic nail polish. Make sure to buy a long lasting holographic nail polish, so you can enjoy it long after your honeymoon is over.